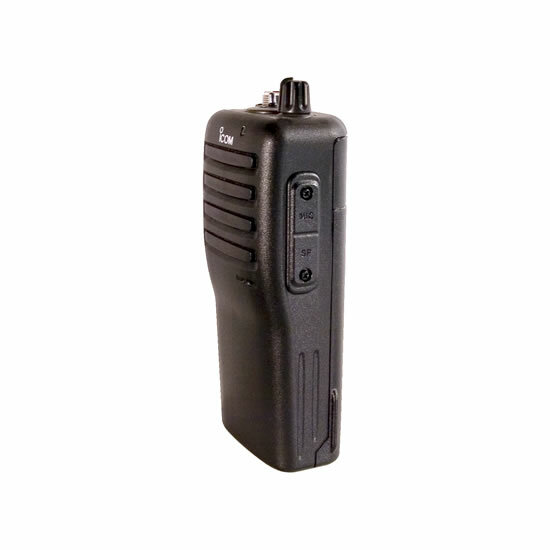 The IC-F14/S series shows Icom's new direction in LMR radio design. Simple operation for everyone but a powerful and reliable tool for your daily business. Its very durable construction is resistant to shock and vibration. 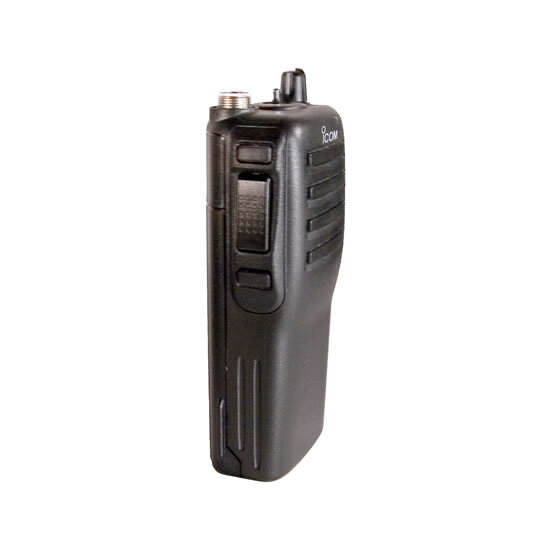 The dual rail guide design securely locks the battery pack to the radio. 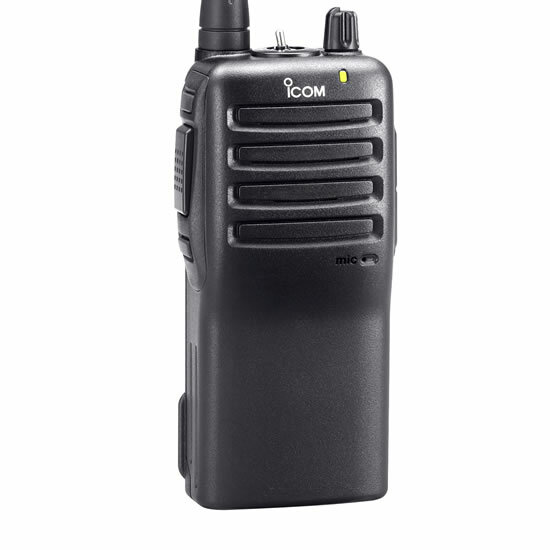 Wide range frequency coverage, Li-Ion battery pack, loud and clear audio, built-in signalings and option unit connector combined with Icom grade electrical performance, the IC-F14/S series will easily exceed your expectations. The IC-F14/S series is built around an aluminum die-cast chassis and covered with tough polycarbonate casing. This radio is built to last. 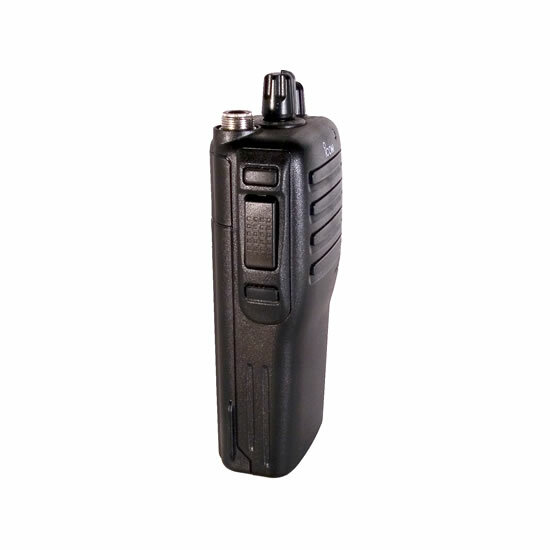 Its dual slide rail securely locks the battery to the radio. 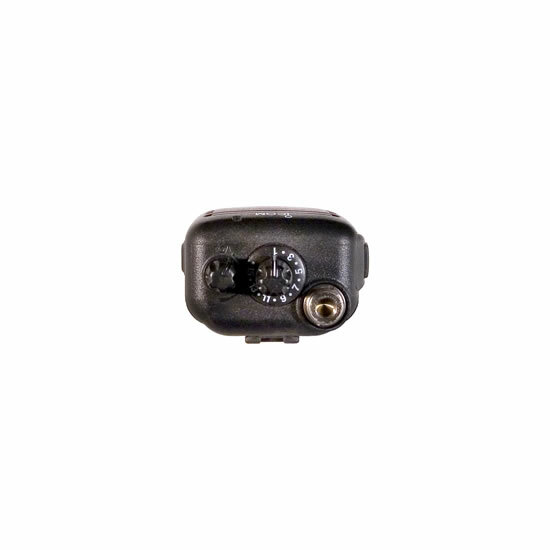 The battery terminal is covered with a non-corrosive rubber packing. 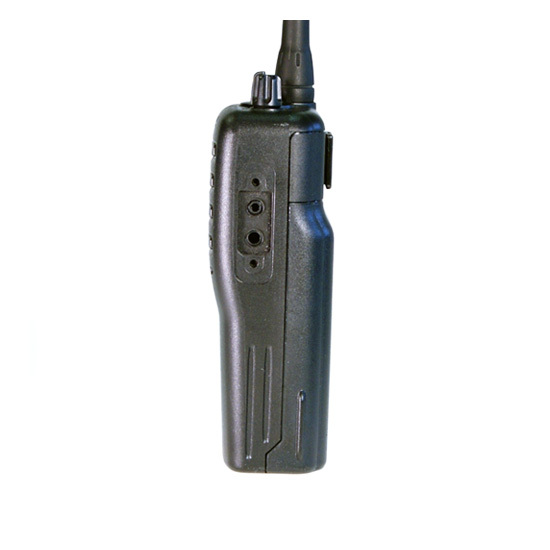 The belt clip is clamped between the radio and the battery, making it nearly impossible to knock loose. Having only 3 buttons, volume and channel knobs, the IC-F14/S series does not require special training to use. Positive button action for sure operation even when wearing gloves, allows you to get down to the business of communicating without fuss. The IC-F14/S series covers a wide frequency range with one version (136–174, 400–470, 450–512 (520) MHz). Wide and narrow channel spacing (25, 12.5kHz) is programmable per channel. 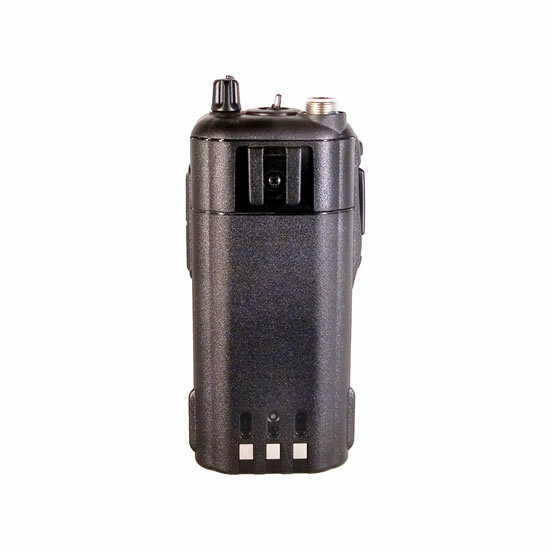 The IC-F14/S series comes with a high capacity 2000mAh Li-Ion battery pack, BP-232N, as standard. Li-Ion batteries have virtually no memory issues and allows you flexible charging. The IC-F14/S series has an expansion socket for adding an optional board. 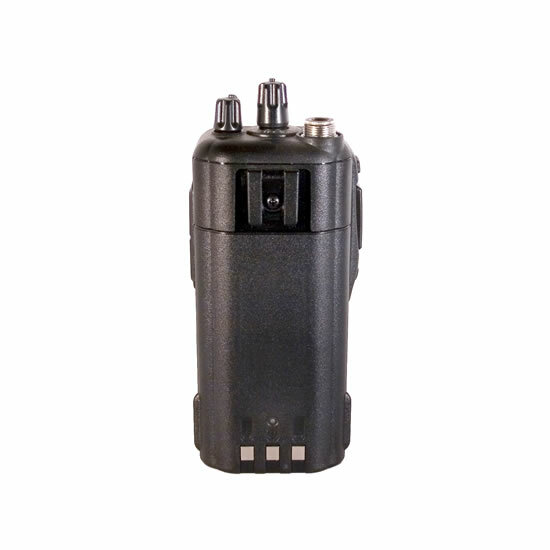 Voice scrambler, man down and DTMF decoder features are available, depending on the installed board. 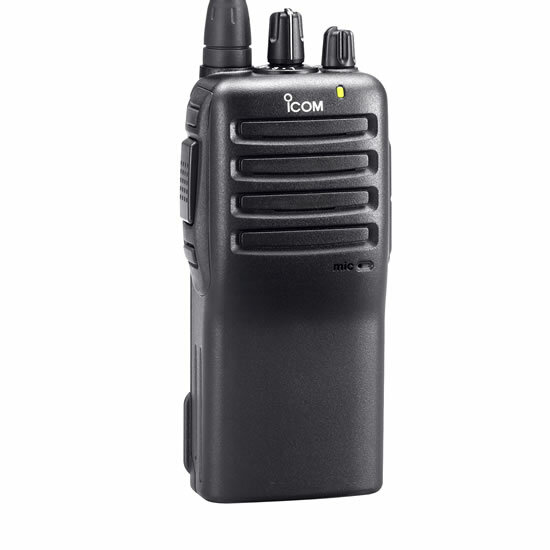 Use the built-in 2-Tone, 5-Tone, CTCSS and DTCS capabilities as standard to set up your own talk groups and quiet stand-by when others are talking. Up to 10 2-Tone/8 5-Tone codes can be decoded on a channel. When a matched tone is received, the following items are programmable for each code.